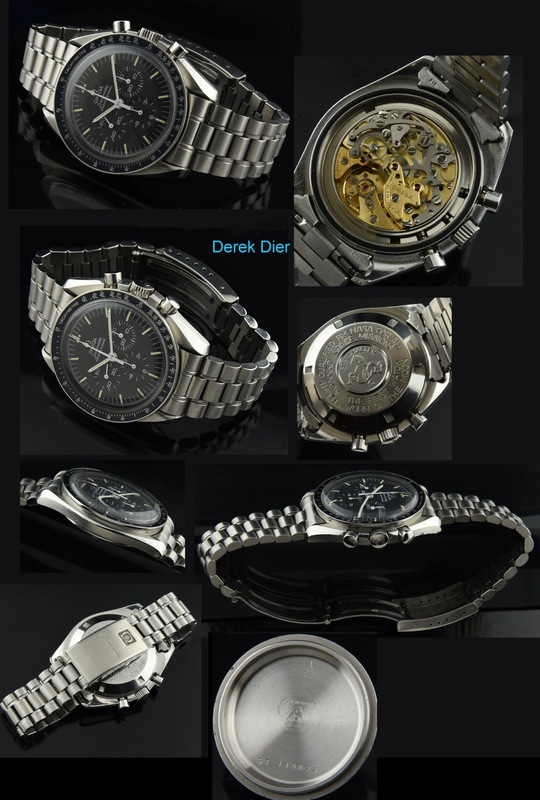 This is a clean example of an OMEGA SPEEDMASTER dating to 1990. 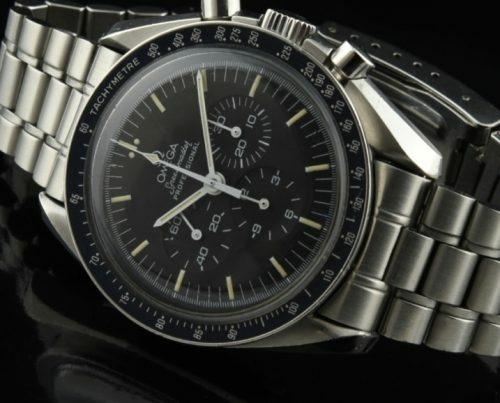 This watch retains all the same looks as a SPEEDMASTER from the late 60’s and uses the same caliber 861 moon watch movement for MUCH less money. The bezel is original and very clean. The dial and hands-original with fine patina and essentially perfect. In my photo, one of the hash markers in the chrono section is marred by a mark in the crystal which has (now) been polished perfectly. This dial is amazing. The winding crown is correct. The crystal is unscratched and generic. The case inside back is signed 145022. The OMEGA bracelet is not too stretched-looks great. The caliber 861 famous manual winding movement was recently cleaned and accurate. There are some dings on the case edges from normal use-better than being polished to death. On the wrist this OMEGA Speedmaster looks fantastic…I mean it!